Why do you need Chimney Services? The purpose of a chimney is to safely vent the by-products of burning all types of fuel out of your home and into the outside air. Chimneys require regular inspection, cleaning, and sometimes repair, to function properly and for your peace of mind. When you schedule an appointment for inspection, cleaning or repair, one of our highly trained chimney sweeps will come to your home to determine the problem and recommended solutions. Give yourself the peace of mind you deserve by scheduling an appointment for chimney services today. A Chimney Service appointment takes approximately 60-90 minutes. We protect your floors with drop cloths and by wearing clean shoe covers. We guarantee we will not leave a soot mess in your house. A regular (Non-glaze creosote removal) chimney cleaning is included in every chimney service. This assures that the flue interior is clean enough to be viewed by the Chim Scan® camera. Once the chimney is clean, our CSIA certified technician performs a top to bottom visual inspection of the chimney. The inspection helps determine if there is any damage, the cause, and extent of the damage, and it helps to determine repair options. Our interior camera inspection (chimney scan) is performed, where possible with the state of the art Chim Scan® camera. The Chim Scan® is specially designed for the rugged environment of a chimney interior. You receive a Written Condition Report of your chimney with any recommended repairs. There will be a thorough explanation of the cause and extent of any damage to repair solutions. Our chimney sweeps will take digital photos of your chimney. We will explain our findings to you. We can email the digital photos to you if you request them. If needed, you will receive a written Repair Proposal. We try to give you the total repair cost barring any hidden or concealed conditions. It is best if the client is present for the Chimney Service so we can explain our findings and answer any questions. 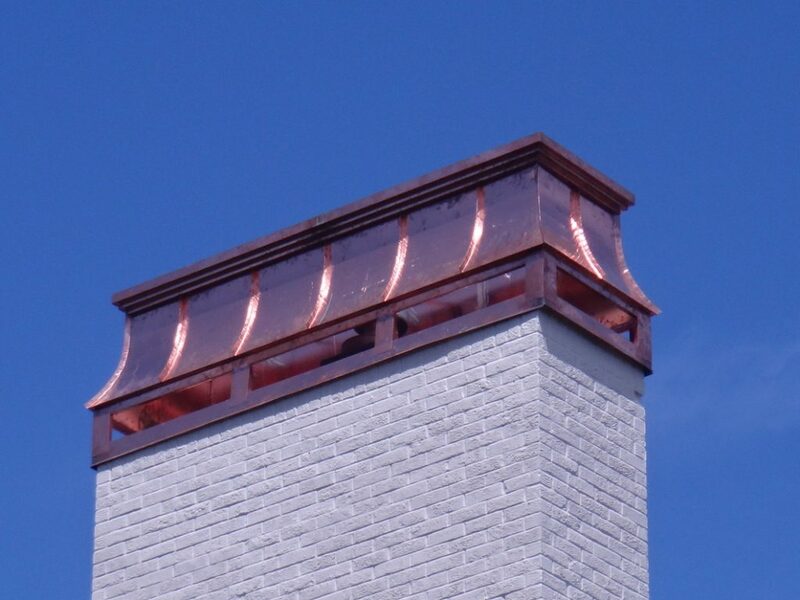 The Chimney Service must be done for some types of chimney relines, Heat Shield estimates and any repair estimates that require a chimney interior inspection. 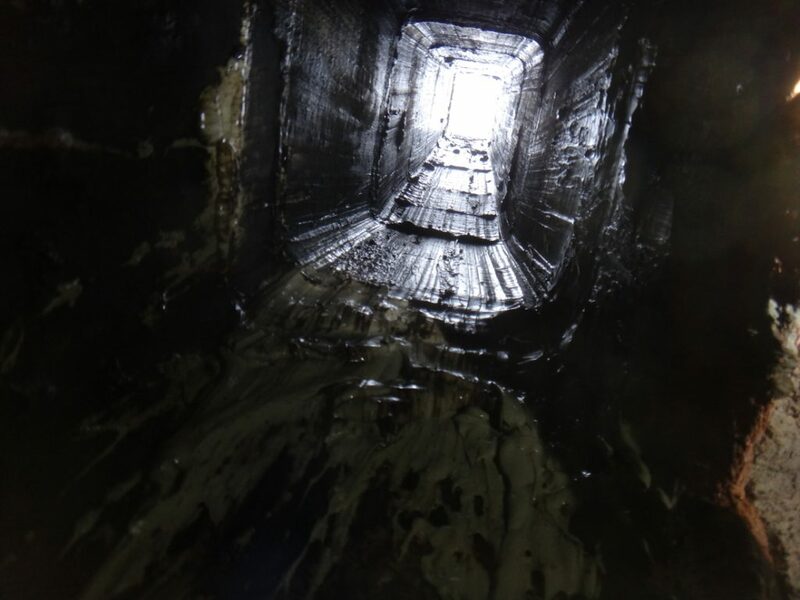 Chimney cleaning for glazed creosote removal We utilize mechanical and chemical methods to remove heavy build-up of glazed creosote. Note: 1/8th inch of glaze creosote poses a potential chimney fire risk.